Won't You Be My Nabor: Sweets for my sweetie! Yesterday was a long day! 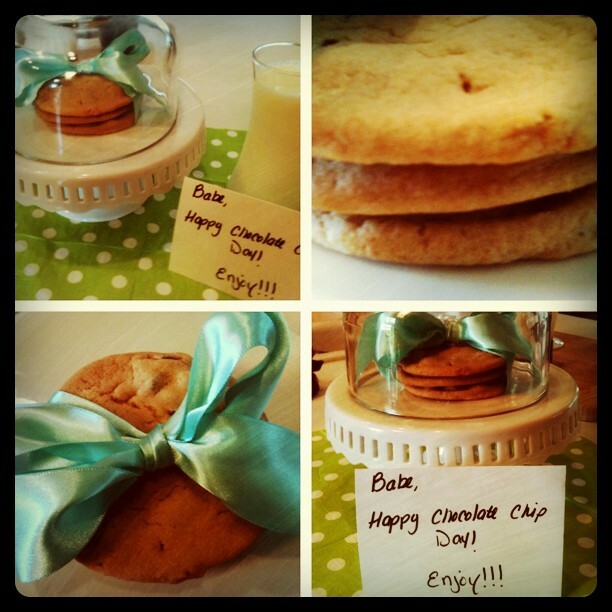 I worked late but did manage to run home and leave a little something "sweet" for my sweetie when he got home from work! Since it was National Chocolate Chip Day yesterday and I didn't have time to bake anything myself, I ran up to the local bakery and got some chocolate chip cookies. Then came home and had it all waiting for my hubby before I went back to work. It wasn't much, but it's the simple things that make life "sweet!" I'm the same way! I love this! Random: I was wondering how long you have lived in your home, and how long it took you to completely finish the decorating! It's gorgeous! That is the cutest idea ever!! :) So cute of you! !